This home is like no other! A spectacular 4 bed, 3 bath, two story home showcasing customized & high end features added by the homeowner. In the spacious light & bright laundry area you will find a bench seat, coat hooks, & counter top added. Separating the master bed & bath is a added barn door to provide privacy. The master suite includes a shower, double sinks, and secluded water closet. Lighting the dining area is a beautiful Pottery Barn fixture. In the spacious backyard is a 15'x51' concrete patio that spans the width of the house offering a great place to entertain & barbecue. This newer home features many upgrades including 42" cabinets, slab granite counter tops, stainless steel appliances, engineered hardwood flooring, central air conditioning, beautiful finishes, warm & inviting interior paint colors, & care taken by the seller. 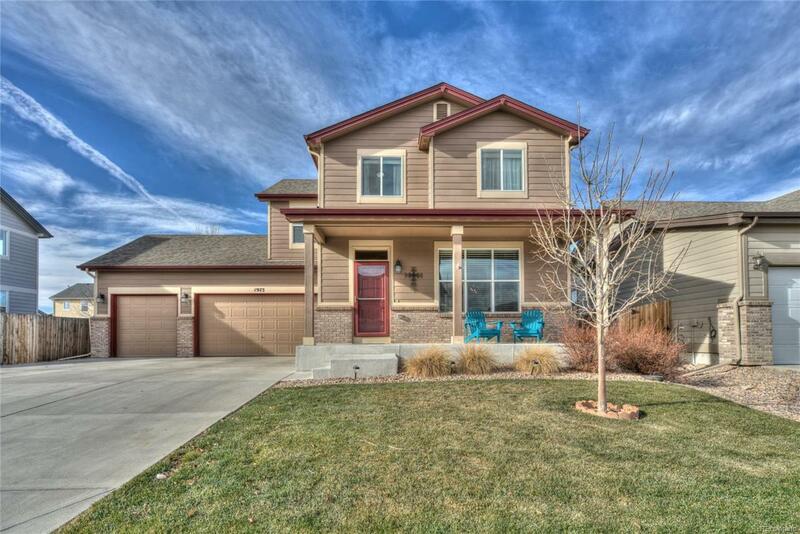 Located in the Coyote Ridge neighborhood this home is within walking distance to Strasburg schools & an easy commute to the Denver Metro Area.